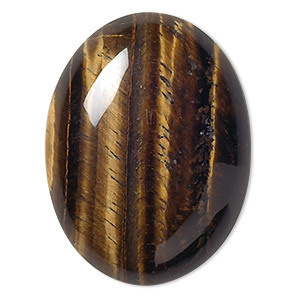 Cabochon, tigereye (natural), 7x5mm calibrated oval, B grade, Mohs hardness 7. Sold per pkg of 10. Item Number: H20-1922CB Have a question about this item? Tigereye has alternating bands of golden-yellow and golden-brown, cut parallel to its fibrous structure to maximize the chatoyancy effect. 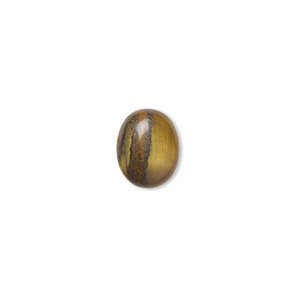 Cabochon, tigereye (natural), 10x8mm calibrated oval, B grade, Mohs hardness 7. Sold per pkg of 10. Cabochon, tigereye (natural), 8x6mm calibrated oval, B grade, Mohs hardness 7. Sold per pkg of 10. 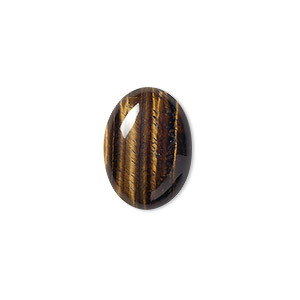 Cabochon, mahogany obsidian (natural), 7x5mm calibrated oval, B grade, Mohs hardness 5 to 5-1/2. Sold per pkg of 10. 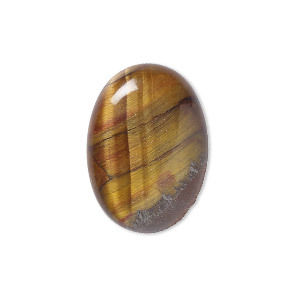 Cabochon, tigereye (natural), 18x13mm calibrated oval, B grade, Mohs hardness 7. Sold per pkg of 2. 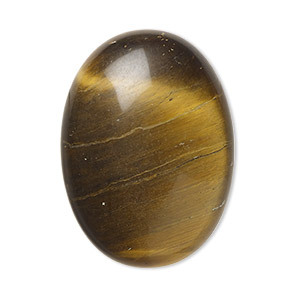 Cabochon, tigereye (natural), 40x30mm calibrated oval, B grade, Mohs hardness 7. Sold individually. 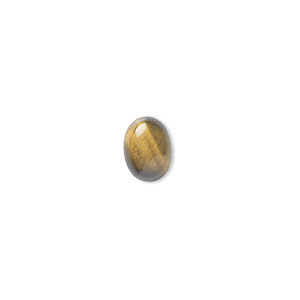 Cabochon, tigereye (natural), 14x10mm calibrated oval, B grade, Mohs hardness 7. Sold per pkg of 6. 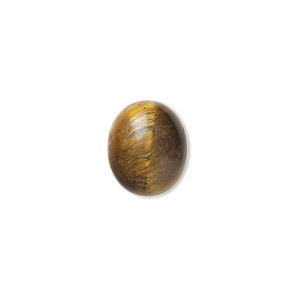 Cabochon, tigereye (natural), 16x12mm calibrated oval, B grade, Mohs hardness 7. Sold per pkg of 4. 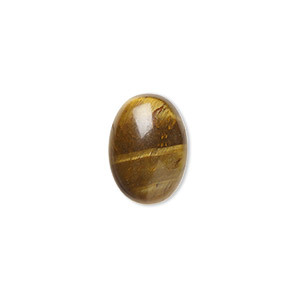 Cabochon, tigereye (natural), 30x22mm calibrated oval, B grade, Mohs hardness 7. Sold individually. Cabochon, tigereye (natural), 12x10mm calibrated oval, B grade, Mohs hardness 7. Sold per pkg of 6.